Building a better world together! 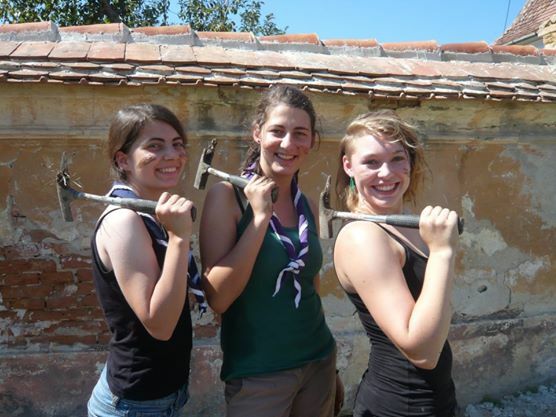 Developing pioneering training kits and sharing skills in Romania. Educational Methods > Building a better world together! Developing pioneering training kits and sharing skills in Romania. (Nocrich/ONCR) – Are you wondering where to go this summer? Are you feeling like giving a hand somewhere where it is needed? 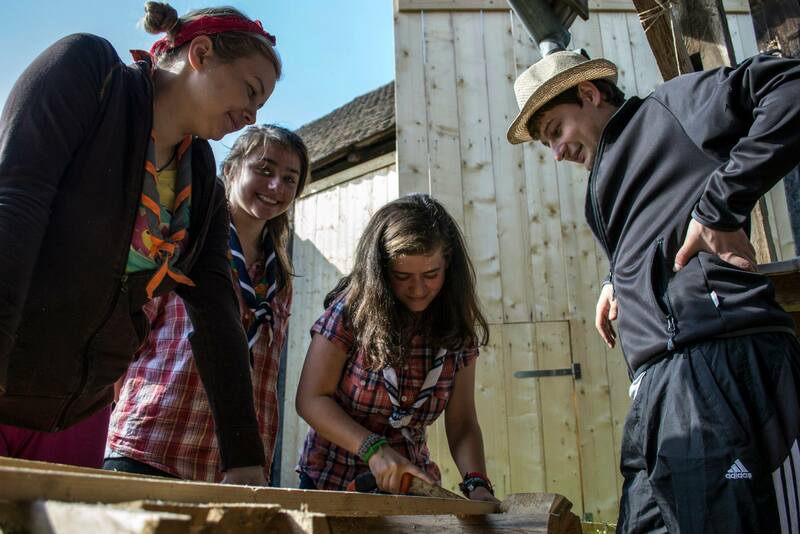 Were you the best in your troop in pioneering skills and you still enjoy teaching others how to tie a knot and build a cool gate for their camping lot during summer camp? Then would the land of Dracula, good food and friendly people sound like a place to be from 17-20 July 2014? Nocrich Scout Centre, the first scout centre in Romania, is supporting Cercetasii României (the National Organisation of Romanian Scouts) in its recently started process of updating its Leader training methods and tools. In the framework of this project, and following a needs assessment, the association is also foreseeing a more systematic approach to developing outdoor skills (such as pioneering and wood constructions) for its Leaders and Rovers. We have received the following appeal from Cercetasii României and hope that many readers will respond favourably! As we currently do not have a specific training tool kit for the area of pioneering and related subjects we have decided to develop something suitable. But it is not just the content of the toolkit that we need; many of our Leaders and Trainers lack experience in developing resources and support material. 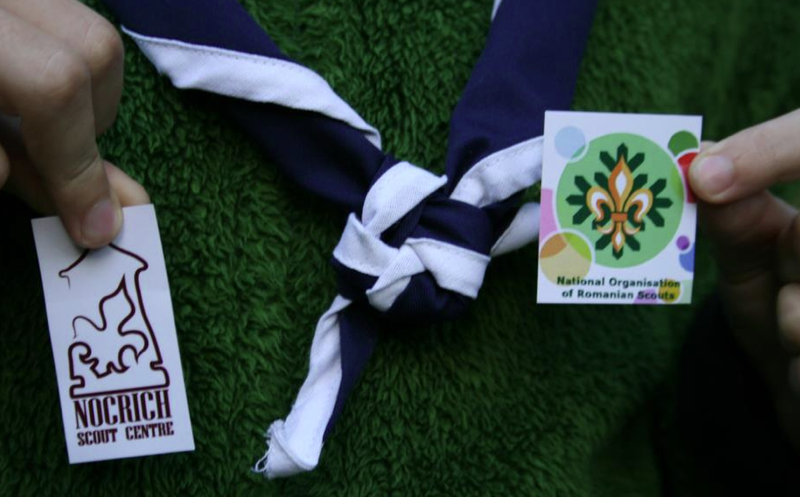 This is why we now reach out to you, the associations in the European Scout Region, where relevant expertise is readily available. Based on your knowledge and training tools existing in your associations we hope to be able to develop appropriate training materials and curricula for our own association. See: that’s how you have to do this! Once we will have looked through the materials you and your association will hopefully share with us, we would like to invite two or three Leader Trainers with experience in the area of pioneering, camp craft and related skills to join our project team for a couple of days at our Nocrich Scout Centre to help run practical exercises at a special Leader Training Course this summer. At the moment, we are expecting about twenty Leaders for this course, which is scheduled to take place from 17 to 20 July 2014. – All necessary materials required running the training course. Unfortunately, however, our association is not in a position to contribute to costs related to traveling to Romania and back home after the event. 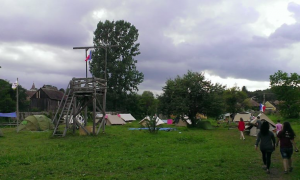 Come and join us in Nocrich in July! If all this sounds interesting to you and you know Leader Trainers or experienced Leaders who might be willing to share their skills and expertise with Romanian Scout Leaders this summer, then please share this message with them! And why not consider coming to Nocrich yourself if you think you can be of help in this project? A short electronic message to Cercetasii României (embedded link to email) is all that is needed!